A story of 7 individuals trapped in a maze like bunker of a building. They must find a way out or risk facing death at the hands of a mastermind with a point to prove. Will they all perish in this odd experiment of a game or will their wit, cunning and keen understanding in science, logic and puzzle solving save their skins? 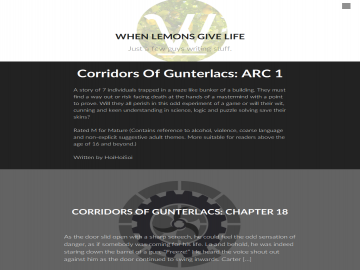 Corridors Of Gunterlacs: Arc 1 has not been reviewed yet. Corridors Of Gunterlacs: Arc 1 has not been recommended yet.